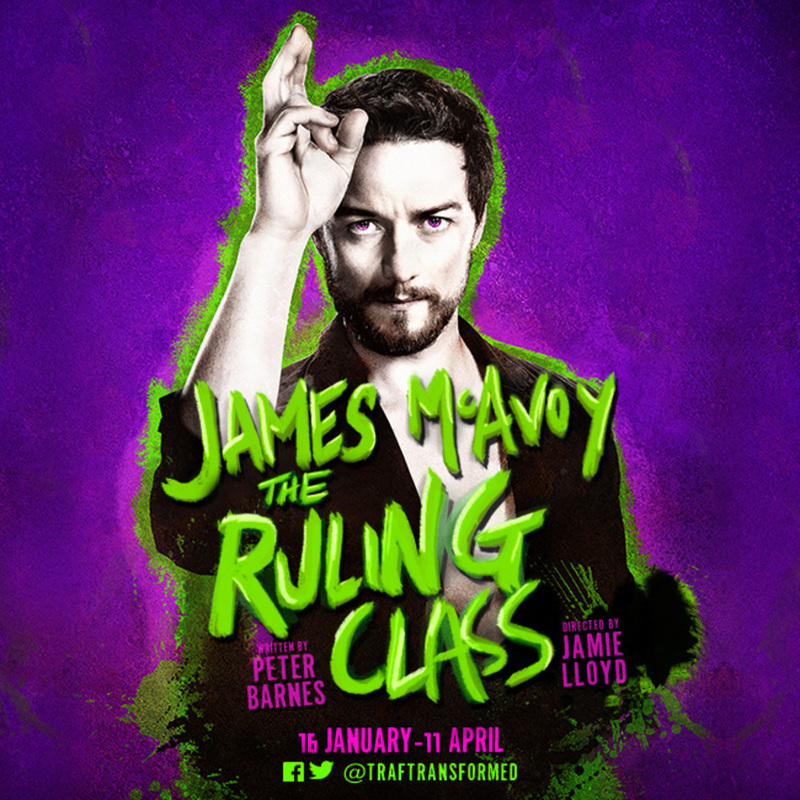 We have special offers available on tickets for The Ruling Class. Atonement actor James McAvoy who played a highly acclaimed Macbeth in an all-Scottish production here two years ago, returns to Jamie Lloyd's Traf Transformed season at Trafalgar Studio to play Jack, a possible paranoid schizophrenic with a Messiah complex. The Ruling Class, Peter Barnes' satirical play centres on Jack, recently appointed the 14th Earl of Gurney, who finds himself in the midst of a familial power struggle. The combination of McAvoy, Lloyd and a ferocious mix of hilarity and horror makes this one of the hottest tickets at the start of the London theatre season in 2015. What are the best dining options near The Ruling Class London? The Ruling Class gyms, sporting activities, health & beauty and fitness. The best pubs near London The Ruling Class. The Ruling Class clubs, bars, cabaret nights, casinos and interesting nightlife. Where to have your meeting, conference, exhibition, private dining or training course near The Ruling Class. From cheap budget hotels to luxury 5 star suites see our deals for Trafalgar Studios hotels, including The Trafalgar St. James London, Curio Collection by Hilton from 81% off.